This article is about the ethnic identity Spanish Filipino. For related terms, see Hispano-Filipino. Not to be confused with Filipino people of Spanish ancestry. A Spanish Filipino ( Spanish and Chavacano: Español Filipino o Hispano Filipino; Tagalog: Kastila, Tisoy o Conio; Cebuano and Hiligaynon: Cachila) is a Filipino who has Spanish or Hispanic lineage, mostly born and raised in the Philippines. A Spanish Filipino is any citizen or resident of the Philippines who is of Spanish or Hispanic origin. They are represented in all levels of Philippine society and are integrated politically and economically, in the private and government sector. 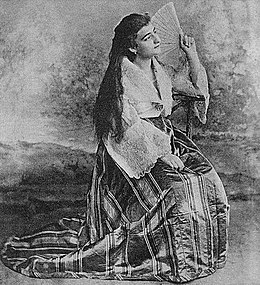 Spanish Philippines is the history of the Philippines from 1521 to 1898. It begins with the arrival in 1521 of European explorer Ferdinand Magellan sailing for Spain, which heralded the period when the Philippines was an overseas province of Spain, and ends with the outbreak of the Spanish–American War in 1898. The Spanish East Indies (Indias orientales españolas) were the Spanish territories in Asia-Pacific from 1565 until 1899. They comprised the Philippine Islands, Guam and the Mariana Islands, the Caroline Islands ( Palau and the Federated States of Micronesia), and for some time parts of Formosa ( Taiwan) and the Moluccas ( Indonesia). Cebu was the first seat of government, later transferred to Manila. From 1565 to 1821 these territories, together with the Spanish West Indies, were administered through the Viceroyalty of New Spain based in Mexico City. 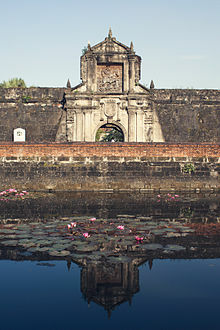 The Captaincy General of the Philippines ( Spanish: Capitanía General de las Filipinas; Filipino: Kapitanyang Heneral ng Pilipinas) was an administrative district of the Spanish Empire. The Captaincy General encompassed the Spanish East Indies which included the modern country of the Philippines and various Pacific Island possessions, such as the Caroline Islands and Guam. It was founded in 1565 with the first permanent Spanish settlements. For centuries all the political and economic aspects of the Captaincy were administered in Mexico by the Viceroyalty of New Spain, while the administrative issues had to be consulted with the Spanish Crown or the Council of the Indies through the Royal Audience of Manila. However, in 1821, after Mexico became an independent nation, all control was transferred to Madrid. Philippine Spanish (Spanish: Español Filipino, Castellano Filipino) is a Spanish dialect and a variant of Spanish spoken in the Philippines. 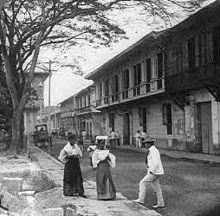 Philippine Spanish is very similar to Mexican Spanish, because of Mexican and Latin American emigration to the Spanish East Indies (Philippines) over the years. It is spoken mostly among Spanish Filipinos. Chavacano or Chabacano [tʃaβaˈkano] is a Spanish-based creole language spoken in the Philippines. The word Chabacano is derived from Spanish, meaning "poor taste", "vulgar", for the Chavacano language, developed in Cavite City, Ternate, Zamboanga and Ermita. It is also derived from the word chavano, coined by the Zamboangueño people. Philippine literature in Spanish ( Spanish: Literatura Filipina en Español) is a body of literature made by Filipino writers in the Spanish language. Today, this corpus is the third largest in the whole corpus of Philippine literature ( Philippine Literature in Filipino being the first, followed by Philippine literature in English). It is slightly larger than the Philippine literature in the vernacular languages. However, because of the very few additions to it in the past 30 years, it is expected that the former will soon overtake its rank. Noli Me Tángere ( Latin for Touch Me Not) is a fictional novel written by José Rizal, one of the national heroes of the Philippines, during the colonization of the country by Spain to expose the inequities of the Spanish Catholic priests and the ruling government. El Filibusterismo (lit. Spanish for "The Filibustering" ), also known by its English alternative title The Reign of Greed,  is the second novel written by Philippine national hero José Rizal. It is the sequel to Noli me tangere and, like the first book, was written in Spanish. It was first published in 1891 in Ghent. The novel's dark theme departs dramatically from the previous novel's hopeful and romantic atmosphere, signifying the character Ibarra's resort to solving his country's issues through violent means, after his previous attempt at reforming the country's system have made no effect and seemed impossible with the attitudes of the Spaniards towards the Filipinos. The novel, along with its predecessor, was banned in some parts of the Philippines as a result of their portrayals of the Spanish government's abuse and corruption. These novels along with Rizal's involvement in organizations that aim to address and reform the Spanish system and its issues led to Rizal's exile to Dapitan and eventual execution. Both the novel and its predecessor, along with Rizal's last poem, are now considered Rizal's literary masterpieces. Mi Último Adiós ( English; “My Last Farewell”) is a poem originally written in Spanish by Philippine national hero Dr. José Rizal on the eve of his execution by firing squad on 30 December 1896. The piece was one of the last notes he wrote before his death; another that he had written was found in his shoe but because the text was illegible, its contents today remain a mystery. ^ "The Basques's contribution to the Philippines". ^ "Aboitiz and Company - About Us". ^ "ICTSI - BOD - Enrique K. Razon Jr". ^ "SOP 80 05 3A: Overview of the 8(A) Business Development Program" (PDF). U.S. Small Business Administration. 11 April 2008. Retrieved 19 January 2016. SBA has defined 'Hispanic American' as an individual whose ancestry and culture are rooted in South America, Central America, Mexico, Cuba, the Dominican Republic, Puerto Rico, or Spain. ^ Jagor, Fedor; et al. (2007). "Part VI People and Prospects of the Philippines". The Former Philippines Through Foreign Eyes. Echo Library. ISBN 978-1-4068-1542-9. ^ Lessing J. Rosenwald. "Lessing J. Rosenwald Collection". Library of Congress. World Digital Library. Retrieved 2010-11-28. ^ The Subersive or Subversion, as in the Locsín English translation, are also possible translations. ^ "The Reign of Greed by José Rizal". Retrieved 2008-04-24.